TV5's Jeff Caparas and his cameraman Adrian Bulatao are now recovering after being injured in an explosion while on assignment in Datu Saudi Ampatuan, Maguindanao Saturday morning. The two are in stable condition but suffered multiple shrapnel wounds on their right side, after a bomb which allegedly planted in a tricycle by members of the Bangsamoro Islamic Freedom Fighters exploded. In a statement, BIFF spokesman Abu Misry Mama said that they did not intend to harm the reporters and claimed that they killed three soldiers. "The military convoy was a legitimate target, we do not want to harm members of the press," he said. 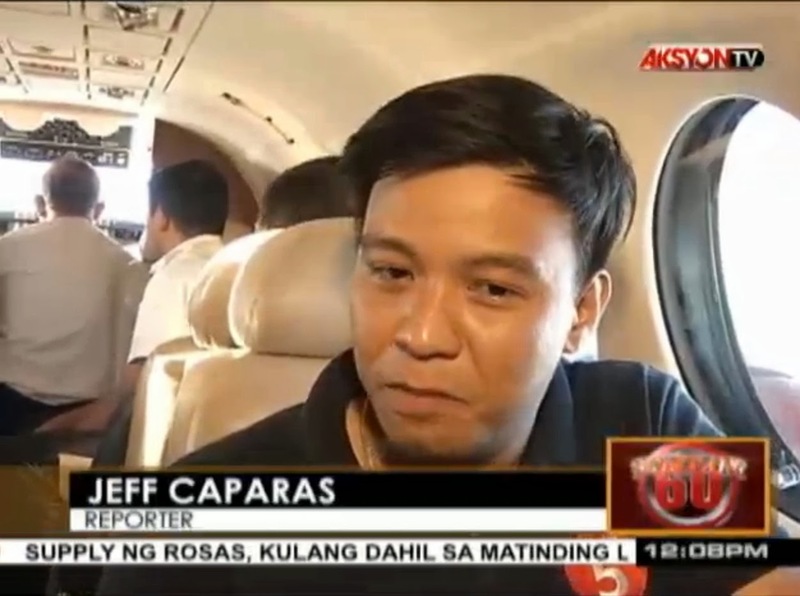 In an interview aired on this afternoon's Balitang 60, Caparas described the worsening situation in the south. "Ito yung worst. Wala na ring sinusunod," he said. "Unang-una yung rules of engagement nila (BIFF) hindi nasunod. May mga civilian na nadadadamay. Parang ganun na ba yung mangyayari dito? Paano pa 'to hihinto?" Caparas and Bulatao are now recovering at the Makati Medical Center.